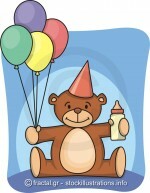 Teddy bear celebrating 1st birthday. Vector illustration of a retro game coin console. 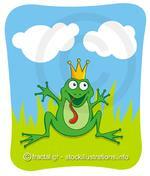 Vector cartoon of a prince frog waving to be kissed. 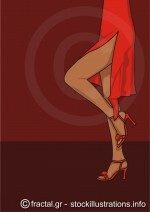 Illustration of a woman in a red dress. Plenty copyspace for your copytext. 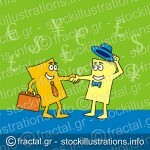 Vector illustration of cartoon business cards closing the deal.